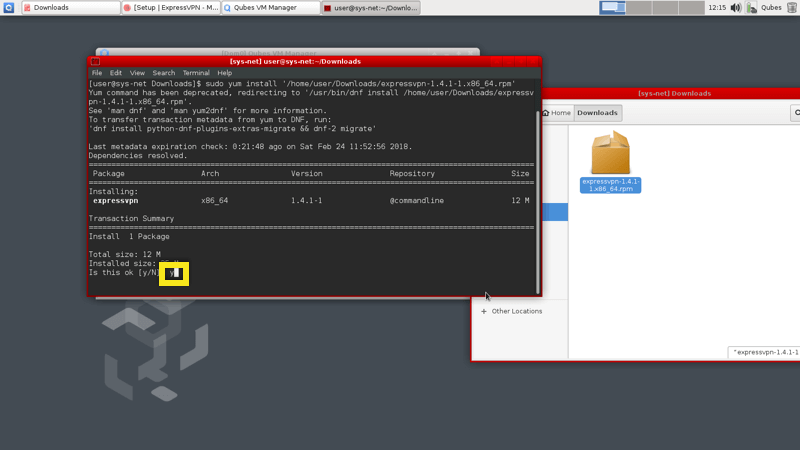 Note: ExpressVPN does not currently provide official support for this setup. 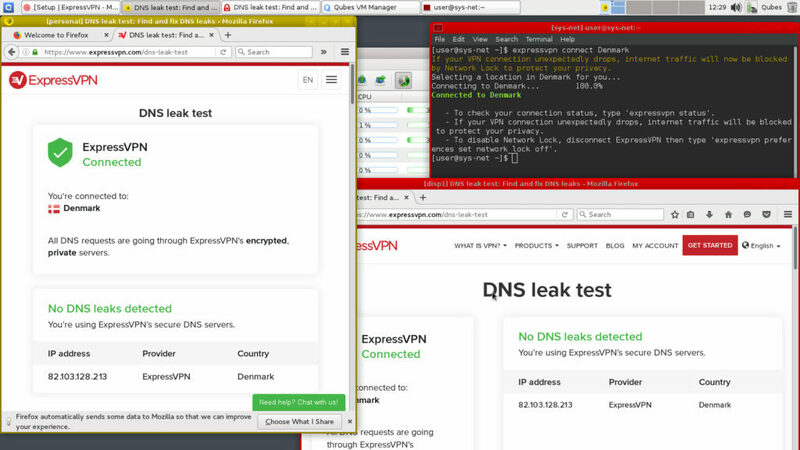 As a result, you may encounter bugs while using ExpressVPN on Qubes OS. 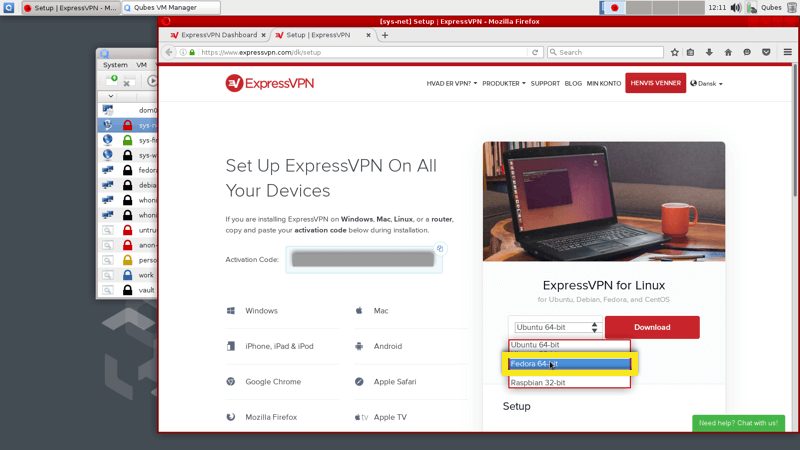 To ensure all traffic goes through the ExpressVPN app, you will need to set up ExpressVPN in the sys-net domain. As sys-net is where all domains and virtual machines go through, setting up ExpressVPN here will provide you with the best security and privacy. 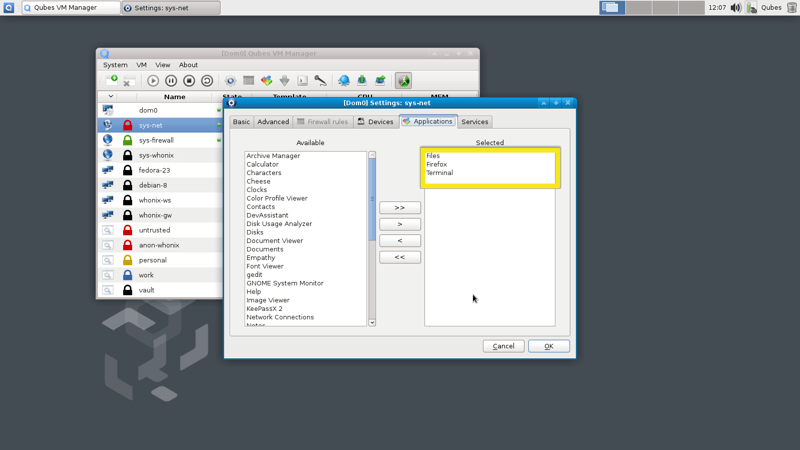 From the Qubes VM Manager, right-click on sys-net and select VM settings. 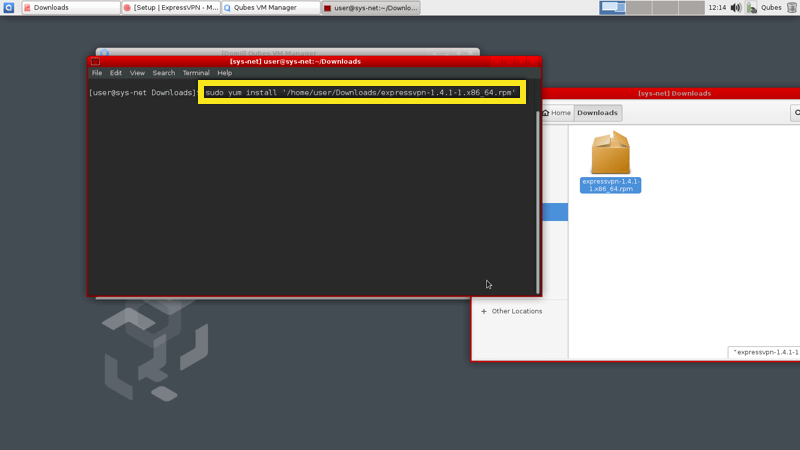 Go to Applications and select Files, Firefox, and Terminal. 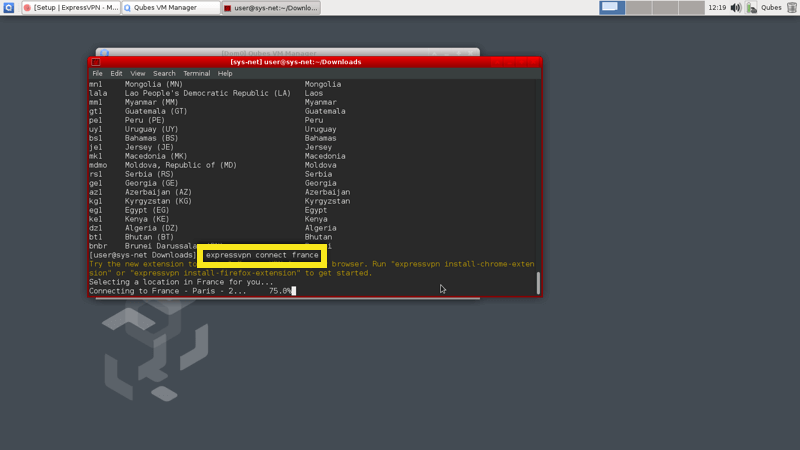 Go to the Qubes start menu to open Firefox. Make sure you are in the sys-net environment. 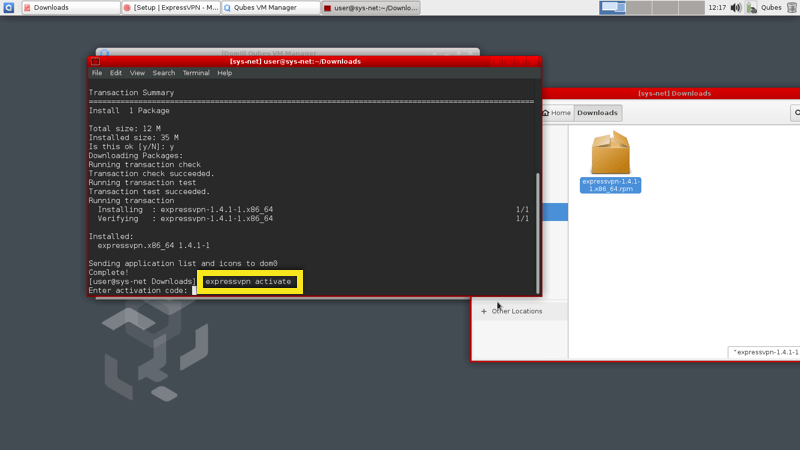 Hit Y to install the ExpressVPN command line. 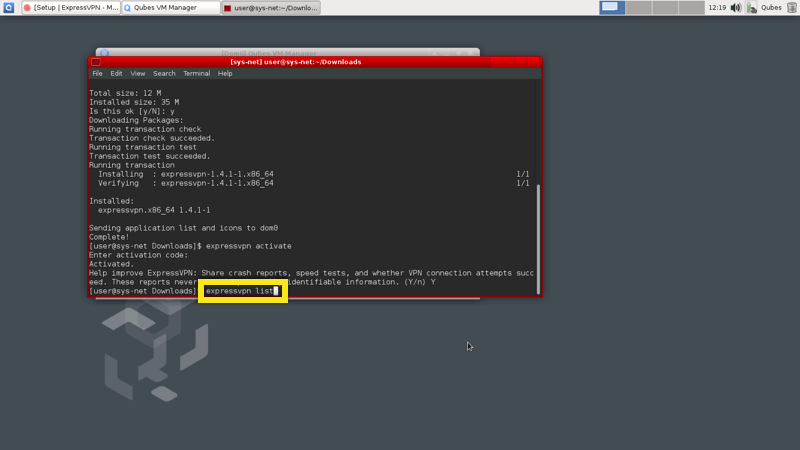 To connect to ExpressVPN after rebooting Qubes OS, you will need to repeat the above setup process.